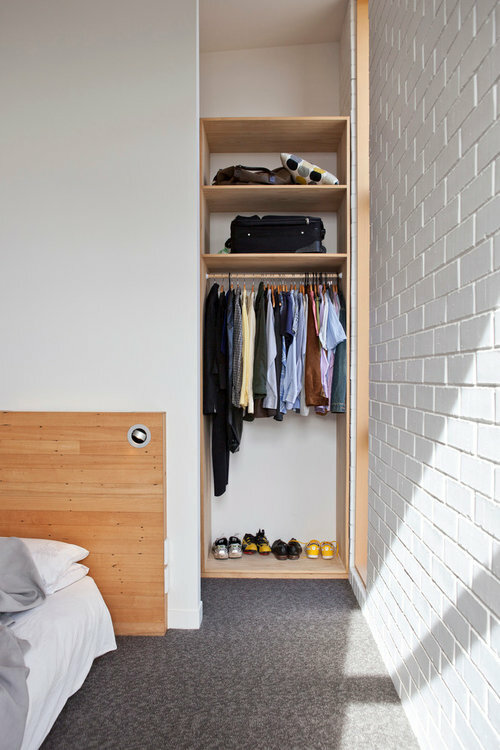 The closet is full height to the ceiling, the fittings is a standard 650mm depth and standard height. The timber utilise a natural colour--matching the timber facings and headboard of the bed. What to do with this hallway wall?